David Servant was raised in southern suburbs of Pittsburgh, Pennsylvania. Although he was confirmed at age 12 in his family’s church, he did not truly believe in Jesus Christ until his sophomore year in High School when he began reading the New Testament during a time of spiritual searching. He became involved Young Life youth ministry and graduated from Upper St. Clair High School in 1976. Between 1979 and 2002, Servant alternated between pioneering and pastoring churches in Pittsburgh-area suburbs and developing an international teaching ministry, focusing on training pastors in developing nations. In 2002, he resigned his third pastorate to launch a ministry named Shepherd Serve, which was later renamed Heaven’s Family to better reflect the ministry’s focus. During the ensuing years, Heaven’s Family grew into a multi-faceted ministry that administrates numerous “focused funds” which allow contributors to serve those whom Jesus referred to as the “least of these” (Matt. 25:31-46), such as orphans, widows, victims of human trafficking, or micro-entrepreneurs. By 2012, Heaven’s Family had a 16-member staff and an annual budget of $1.7 million. David Servant’s teaching ministry centers on biblical issues such as repentance, true conversion, stewardship and discipleship. His books include Christ’s Incredible Cross, The Great Gospel Deception, The Disciple-Making Minister, Family-Style Devotions, and Forever Rich. 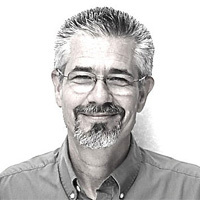 He has written numerous articles that are posted at DavidServant.com, which at times address controversial issues such as the false grace of the American gospel, Calvinism, and “annihilationism”. David Servant also produces a 7-minute weekday video devotional titled HeavenWord 7. David Servant was married to Rebecca Smith in 1979. David and Becky have been married for 38 years and they have three grown and married children and seven grandchildren.